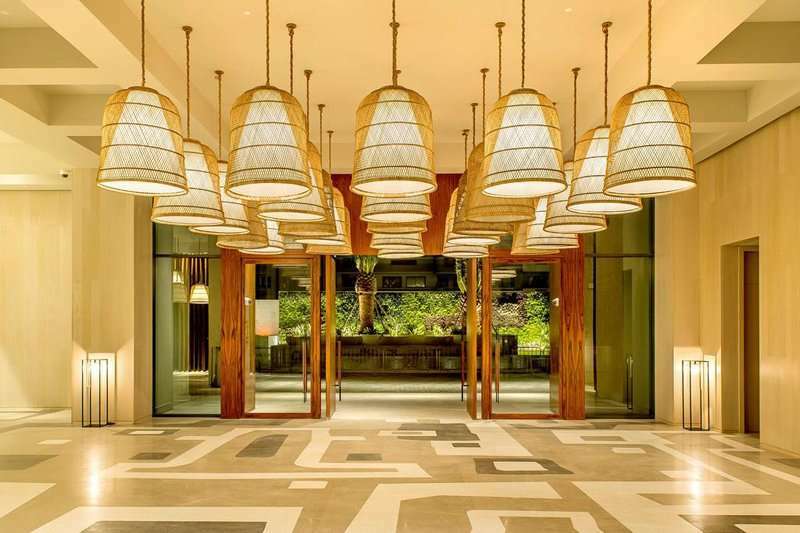 For an unbeatably luxurious stay in a vibrant city, the 5-star Grand Hyatt Rio de Janeiro makes an excellent choice. 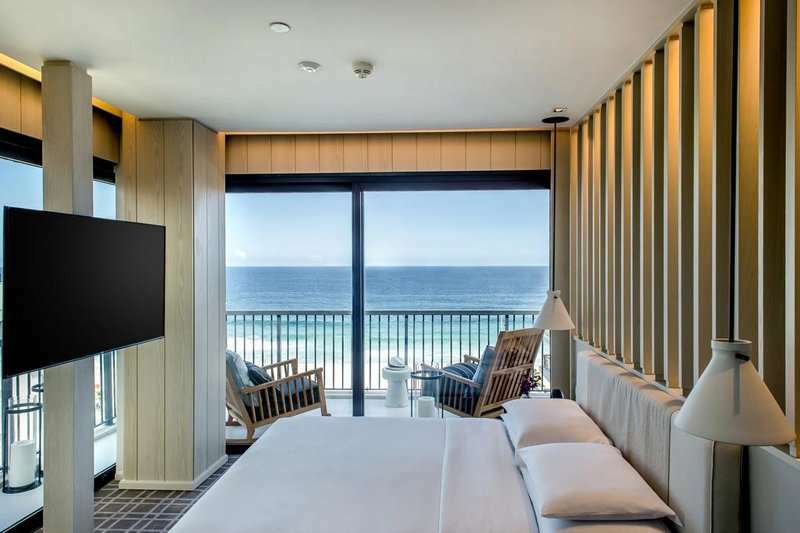 Situated in a stunning location overlooking the Marapendi Lagoon and central to Rio de Janeiro’s booming Barra de Tijuca neighbourhood, the Grand Hyatt Rio de Janeiro hotel could not boast a better location. Rio de Janeiro holds a worldwide reputation for offering a vast range of culturally rich attractions and excursions whilst still being home to a lively atmosphere. 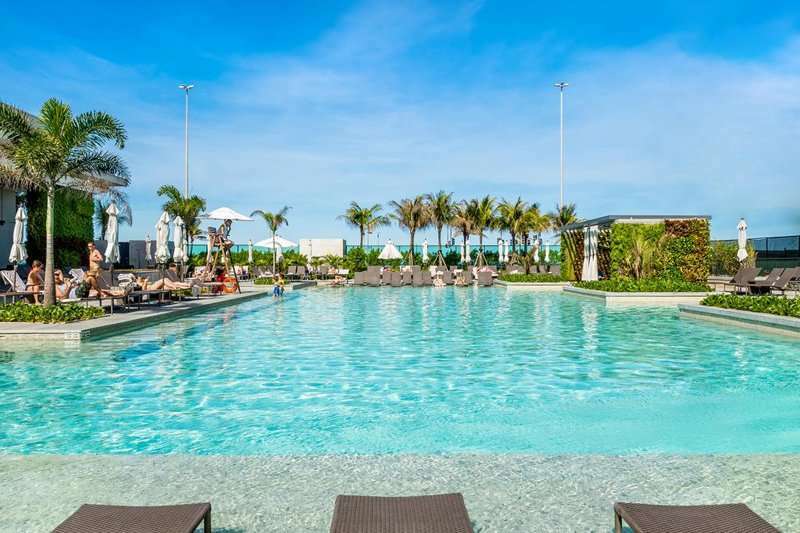 At the Grand Hyatt Rio de Janeiro hotel, you can make the most out of what this vibrant city has to offer, especially in the modern neighbourhood of Barra da Tijuca where guests will find an array of first-class restaurants, bars, and shopping for those seeking a spot of retail therapy. Furthermore, this luxury hotel is situated on 11 miles of unspoilt beach, perfect for sun worshippers or simply for those looking to escape the hustle and bustle of everyday life. 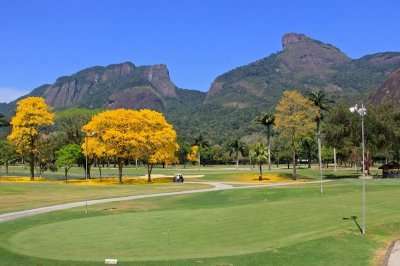 Conveniently for golfers, the Grand Hyatt Rio de Janeiro hotel is also perfectly situated to enjoy some of Brazil’s best golf courses including the Itanhanga Golf Club and Gávea Golf Country Club, both situated just 15 minutes away by car. 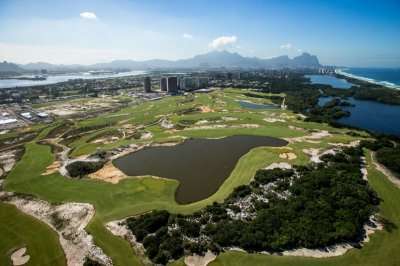 The Olympic Golf Course, host to the 2012 Rio de Janeiro Olympic Games, is situated even less at just an 8-minute car drive away. 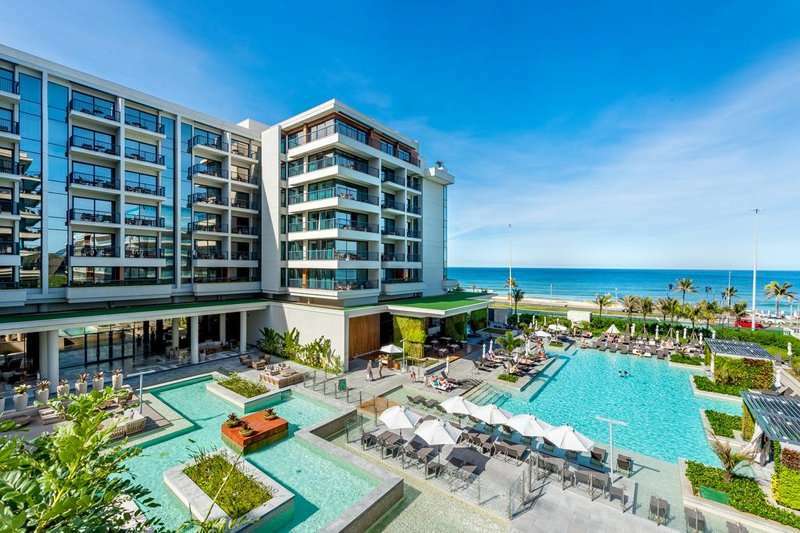 The Grand Hyatt Rio de Janeiro hotel offers its guests 436 apartments including 43 suites, all furnished to a high standard and including all of the modern amenities required for a luxurious stay. 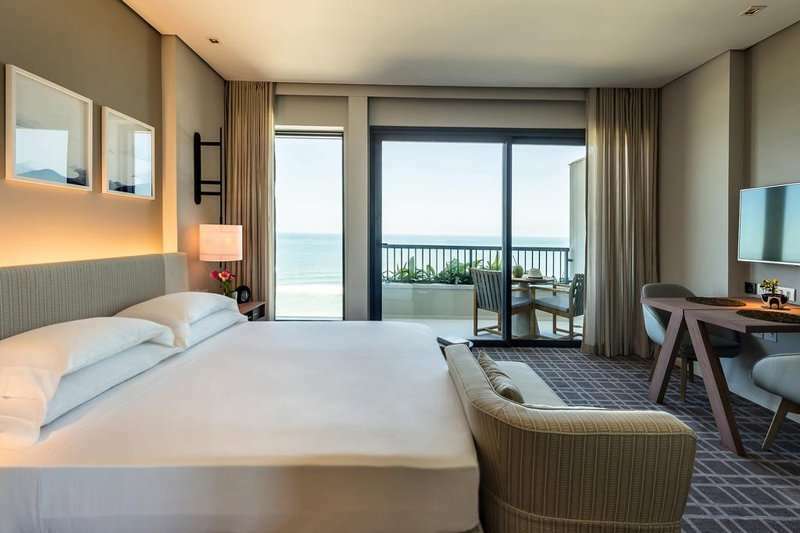 With floor to ceiling windows and private balconies, guests here can fully appreciate the beauty of the hotel’s stunning surroundings, including the Atlantic Ocean and Marapendi Lagoon. 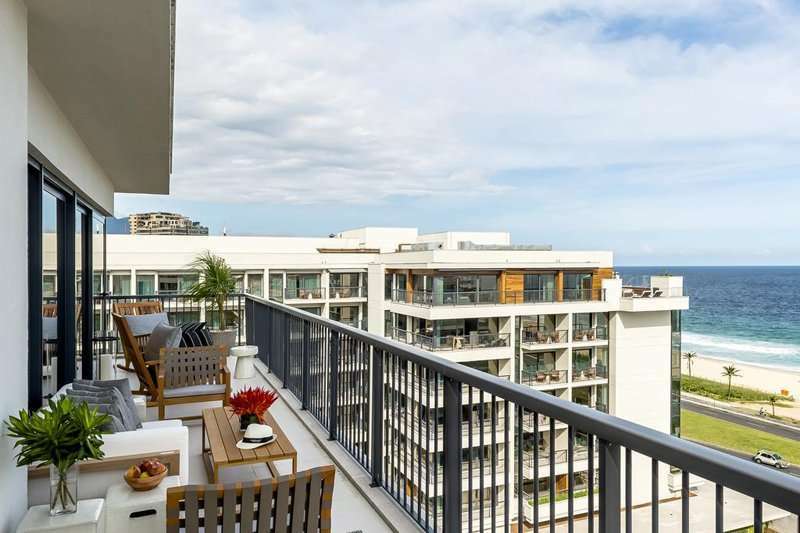 Guests can choose from a variety of accommodation options ranging from standard apartments to the Grand Club rooms offering exclusive access to the hotel lounge, or a lavish Penthouse Suite. All rooms at the Grand Hyatt Rio de Janeiro include spacious en suite bathrooms, complimentary internet access and toiletries. 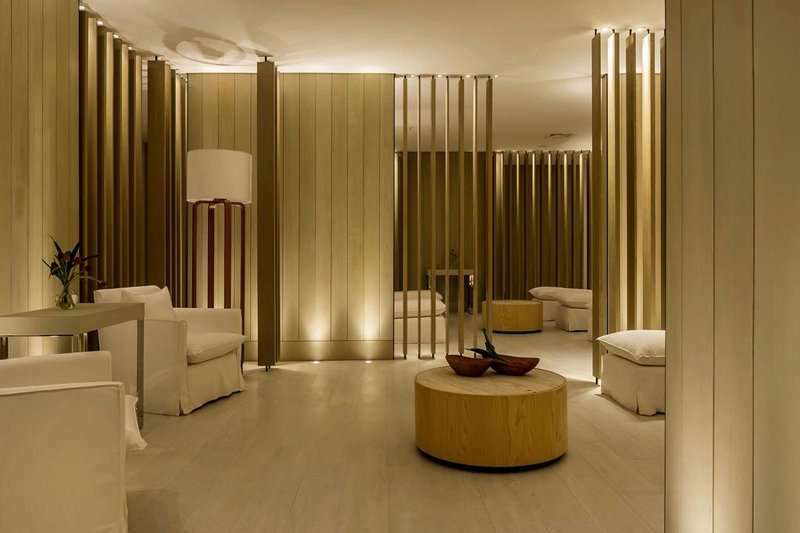 At the Grand Hyatt Rio de Janeiro hotel, guests will find themselves spoilt with facilities to keep themselves entertained or to help them relax. Sun worshippers will find their paradise at the large pool area with sun loungers and on the neighbouring beach. 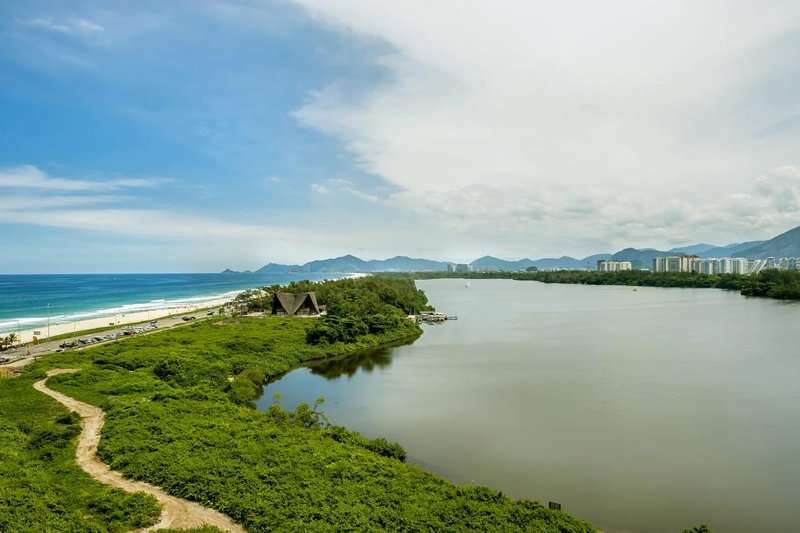 Guests can have fun on the beach with the range of water sports on offer, or to relax guests can visit the Atiaia Spa, a world-class facility offering a range of indulgent treatments and massages. 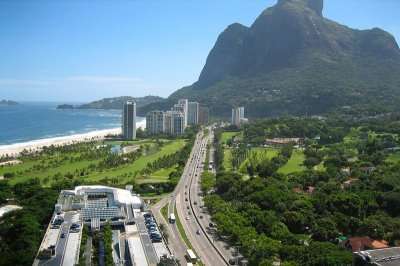 Guests will not be without choice when it comes to eating and drinking at the Grand Hyatt Rio de Janeiro hotel. Here they can enjoy a range of unbeatable cuisine in a contemporary setting in three signature restaurants including the Shiso Japanese restaurant and Tana Cucina Italiana restaurant.